Where Does the Book of Mormon Declare the First Principles and Ordinances of the Gospel? On March 1, 1842, the Church newspaper Times and Seasons published a letter that Joseph Smith had written to a Chicago newspaper reporter named John Wentworth. In this letter, Joseph wrote a list of statements about LDS doctrine that would later become the Articles of Faith, including the familiar declaration of “the first principles and ordinances of the Gospel” as faith, repentance, baptism, and receiving the Holy Ghost (Articles of Faith 1:4). Many Latter-day Saints may be unaware that Joseph Smith probably learned of this four-step pattern from the Book of Mormon. 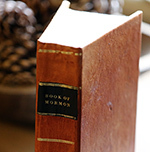 Although the Doctrine and Covenants talks about the first principles and ordinances of the gospel, it is likely that the Book of Mormon was the first place Joseph Smith saw this doctrine laid out in a systematic way. Doctrine and Covenants 20:8–9, revealed sometime after April 1830, affirms that the Book of Mormon (published in March 1830) contains “the fulness of the gospel of Jesus Christ,” and that the Book of Mormon lays out the principles that constitute this “fulness of the gospel.” These principles are exactly the same principles found in the fourth Article of Faith: faith in Jesus Christ, repentance, baptism, receiving the gift of the Holy Ghost, and enduring to the end. Joseph may well have first encountered this formulation as he translated the words of Christ Himself, as delivered in 3 Nephi. In 3 Nephi 27, Christ defines His gospel stating that no one could enter into His rest except those who had washed “their garments in my blood, because of their faith … Now this is the commandment: Repent, all ye ends of the earth, and come unto me and be baptized in my name, that ye may be sanctified by the reception of the Holy Ghost . . . Verily, I say unto you, this is my gospel.” (3 Nephi 27:19–21, emphasis added). Moroni 9:11 adds that “baptism is unto repentance to the fulfilling the commandments unto the remission of sins.” The Book of Mormon further underscores the intimate connection between baptism and the reception of the Holy Ghost: “what have you against being baptized in the name of the Lord … that he may pour out his Spirit more abundantly upon you?” (Mosiah 18:8–10). 1 Nephi 10:9 reaffirms this: “For he that diligently seeketh shall find; and the mysteries of God shall be unfolded unto them, by the power of the Holy Ghost.” Yet the Book of Mormon also reminds readers of everything they can learn from the spirit: “And by the power of the Holy Ghost ye may know the truth of all things” (Moroni 10:5). Noel B. Reynolds, “The Gospel According to Mormon,” Scottish Journal of Theology 68, no. 2 (2015): 218–234. Andrew C. Skinner, “Jesus’s Gospel-Defining Discourse in 3 Nephi 27:13–21: Doctrinal Apex of His New World Visit,” in Third Nephi: An Incomparable Scripture, ed. Andrew C. Skinner and Gaye Strathearn (Provo, UT: Neal A. Maxwell Institute for Religious Scholarship, 2012), 281–308. Robert L. Millet, “This Is My Gospel,” in 3 Nephi 9–30, This Is My Gospel, ed. Monte S. Nyman and Charles D. Tate Jr., Book of Mormon Symposium Series, Volume 8 (Provo, UT: Religious Studies Center, Brigham Young University, 1993), 1–24. “Church History,” Times and Seasons 3, no. 9 (1 March, 1842): 706–710. See also Book of Mormon Central, “Where Did Joseph Smith Get His Doctrinal Ideas About Christ? (Mosiah 4:7),” KnoWhy 259 (January 13, 2017). It should be noted that “gospel” and “doctrine” are often used interchangeably in the Book of Mormon. See, for example, Jacob 7:6. Noel B. Reynolds, “The True Points of My Doctrine,” Journal of Book of Mormon Studies 5, no. 2 (1996): 49–54. 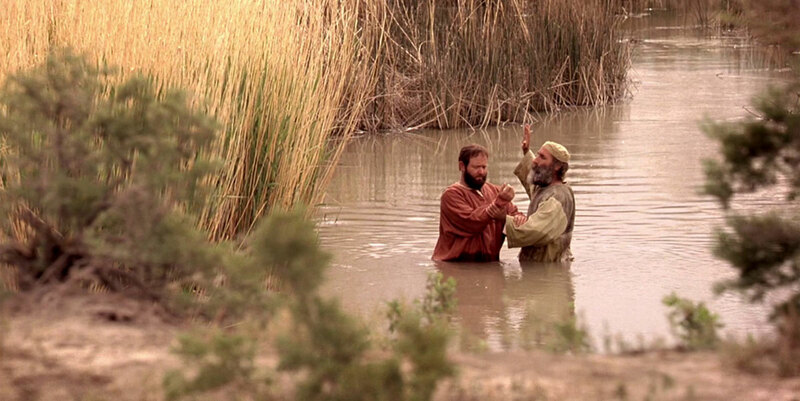 See also 2 Nephi 9:23–24: “And he commandeth all men that they must repent, and be baptized in his name, having perfect faith in the Holy One of Israel, or they cannot be saved in the kingdom of God.” And also 2 Nephi 31:14–16. Reynolds, “The True Points of My Doctrine,” 56. See, for example, Mosiah 11; 26; Alma 5:13; 9; 12; 42; Helaman 7; 13; 3 Nephi 30:2. See, for example, Mosiah 18:7–10 and 2 Nephi 31:13–21. Noel B. Reynolds, “The Gospel According to Nephi: An Essay on 2 Nephi 31,” Religious Educator 16, no. 2 (2015): 72–73.